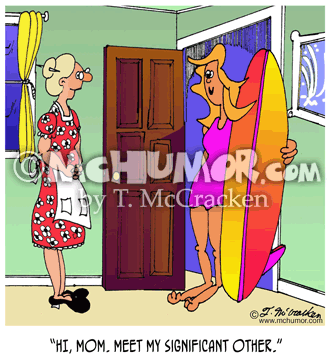 Surfing Cartoon 7455: A woman hugging a surf board standing at the front door saying, "HI, Mom. Meet my significant other." 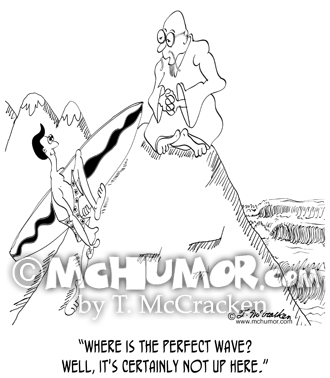 Surfing Cartoon 8927: A perfect wave forms at the base of a mountain where a guru sitting at the top says to a surfer, "Where is the perfect wave? 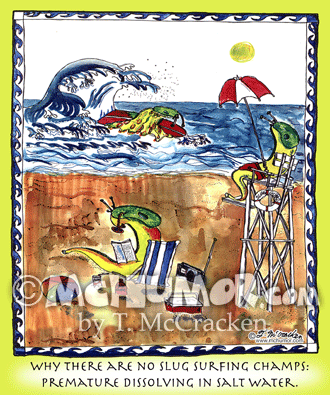 Well, it's certainly not up here." 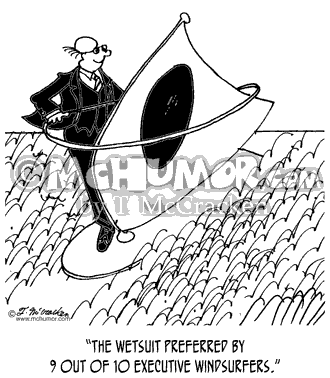 Wind Surfing Cartoon 3432: "A second life for Grandma's quilt." 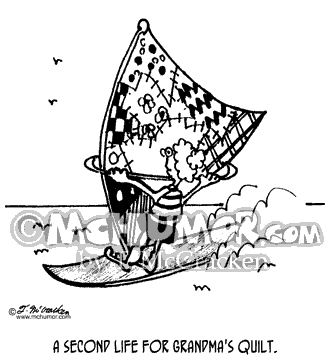 A woman uses a quilt as the sail on a wind board. 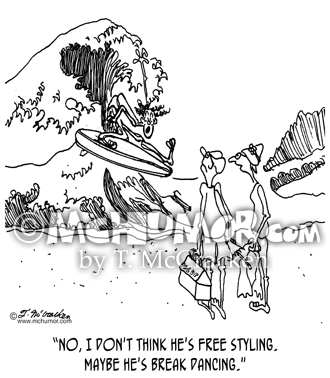 Surfing Cartoon 1290: A woman saying of a surfer flapping wildly in the water, "No, I don't think he's free styling. Maybe he's break dancing." 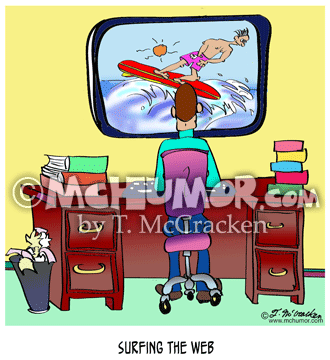 Surfing Cartoon 8530: “Surfing the Web.” A man watches a surfer on a computer screen.